Dear fellow followers of Day[J]! I am a big fan of Starcraft 2, and I'm an even bigger fan of Day[J]. I have hit a dry-spell when it comes to motivation to play myself, but I still watch the daily and laugh with Day[J], at his misfortunes and hopefully also with you all. When HotS launches, I'll have the opportunity to start all fresh. This is a big opportunity for me, because I actually placed into Masters after laddering at the end of season 1. At that time I played Zerg, which naturally is my best race. But since so many of my friends play Zerg and because I just got somewhat bored of playing the same race often for hours a day, I am thinking of changing races, but it's so demotivating to start in diamond or even platinum with a race you are totally unfamiliar with. So the question I would like to ask you all is: Is it a good idea for me to play random all the time when HotS launches? Should i just focus on one of the other two races in the beginning? Or should i just continue with Zerg? I probably would say that I like the feel of Zerg the best: fast units, fast reproduction and reactive gameplay, but for the aforementioned reasons I'm torn on whether or not I should stay a "pure" Zerg. Any and all input is appreciated! And remember, respect and such in the name of Uniden! EDIT: This might be the wrong forum for this, but it's not strategy but about Starcraft 2. Let me know if it's the wrong forum. 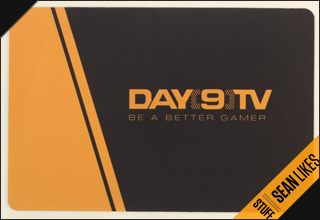 Hi Day9 :) I would love recive HOTS beta key. Could you send me one. Please. Thank for your time.